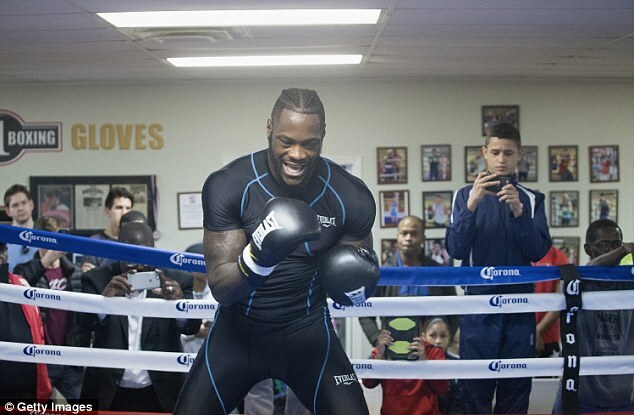 Anthony Joshua has called on heavyweight rival Deontay Wilder to raise his game and take on tougher opponents. 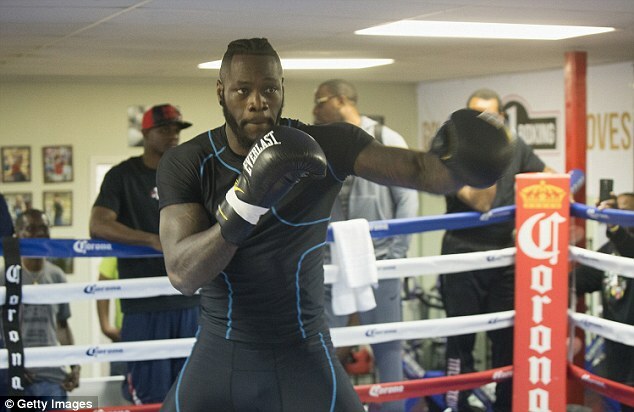 Wilder, the WBC champion, took on and kayoed Gerald Washington, last Saturday night in what was the fifth defence of the title he won against Bermane Stiverne in January 2015. 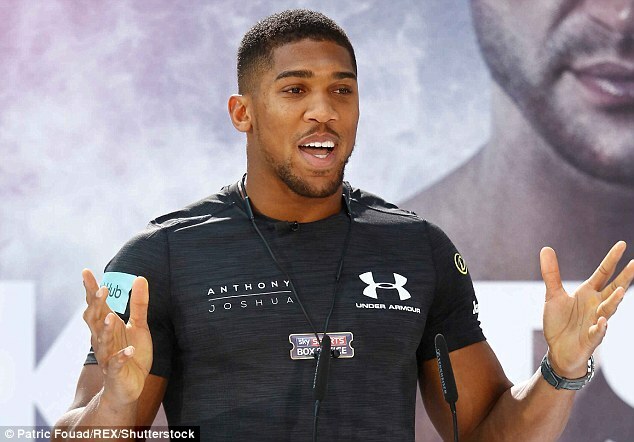 He faced Washington after original opponent Andrzej Wawrzyk failed a drug test, but Joshua has been less than impressed with the ambition Wilder has shown and has now urged the 31-year-old to step things up. 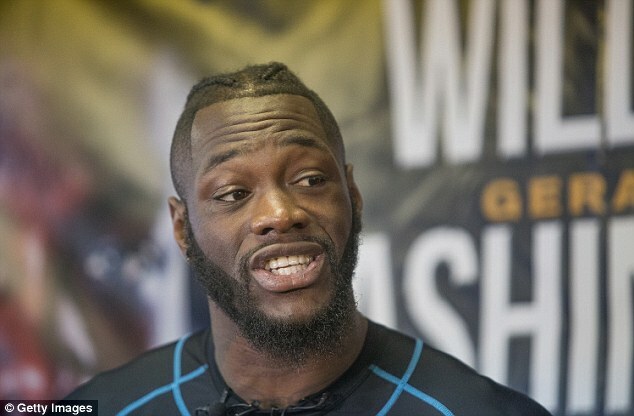 ‘I think Wilder needs to fight better opposition,’ Joshua told Sky Sports. ‘I know his last opponent failed a drugs test unfortunately, but I would love for him to postpone it for another month and get someone who could train for a world championship fight. ‘Wilder has been a professional for around eight to nine years and I want to see a bit more, and there is nothing wrong with that. ‘I’m speaking from a fan’s perspective, because I get it. 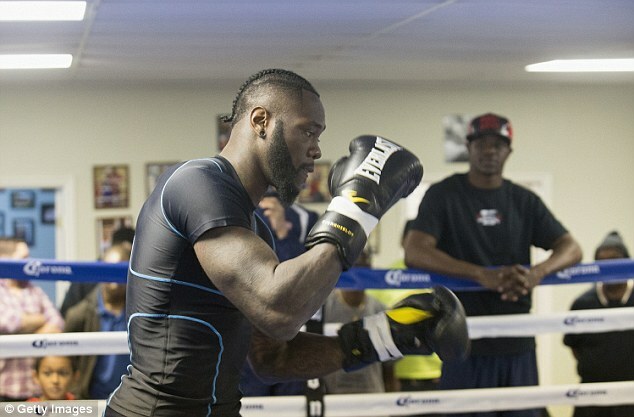 After three years as a professional, they want more, so after nine years as a fan I’m saying: “Wilder we want more from you”, and there is nothing wrong with that. Joshua answered similar calls levelled at him when he agreed to take on Wladimir Klitschko at Wembley on April 29. The Wembley Stadium fight is set to unfold in front of 90,000 fans, with Klitschko sure of what the outcome will be. The veteran Ukrainian has written his prediction and sealed it in an envelope, to be opened once all is said and done. Klitschko said: ‘I have a clear vision of how the fight will go. But only the facts will tell on April 29. Then everyone will see the truth for themselves.